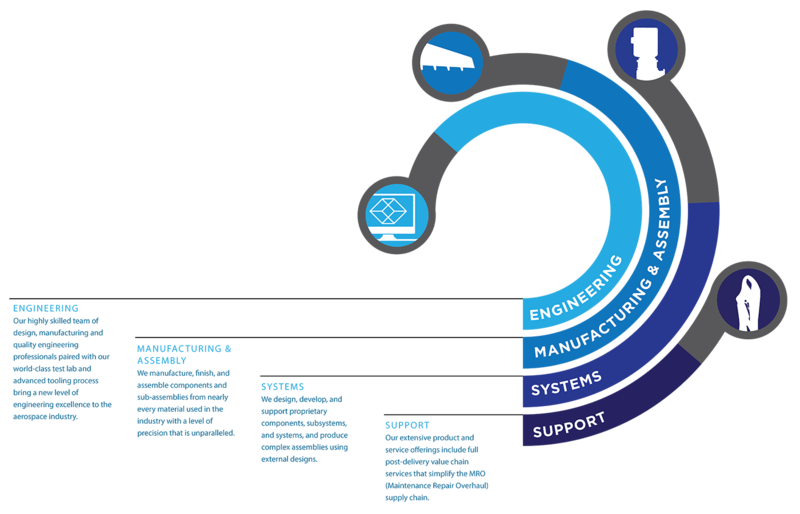 Triumph Group participates at all levels of the aerospace supply chain – from single components, to complex systems, to aerospace structures and their contents. We provide solutions for the entire product life cycle of an aircraft – from engineering and design to aftermarket service. Our unique ability to integrate a broad range of products and capabilities is our competitive advantage. Triumph Group is organized into three market-facing business units and 14 operating companies. The new organizational structure provides greater clarity into our capabilities and better aligns our go-to-market strategies with our customers’ needs. It also allows us to better align our talent and internal operations to improve efficiency.